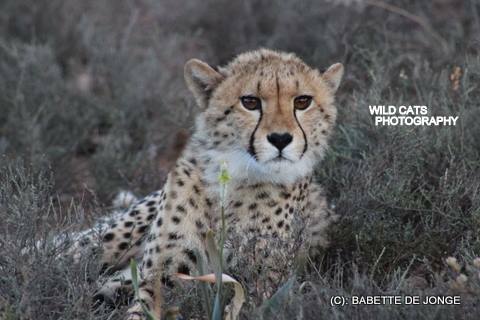 It took a while for us to finally be able to start a cheetah conservation project the way we wanted it best. 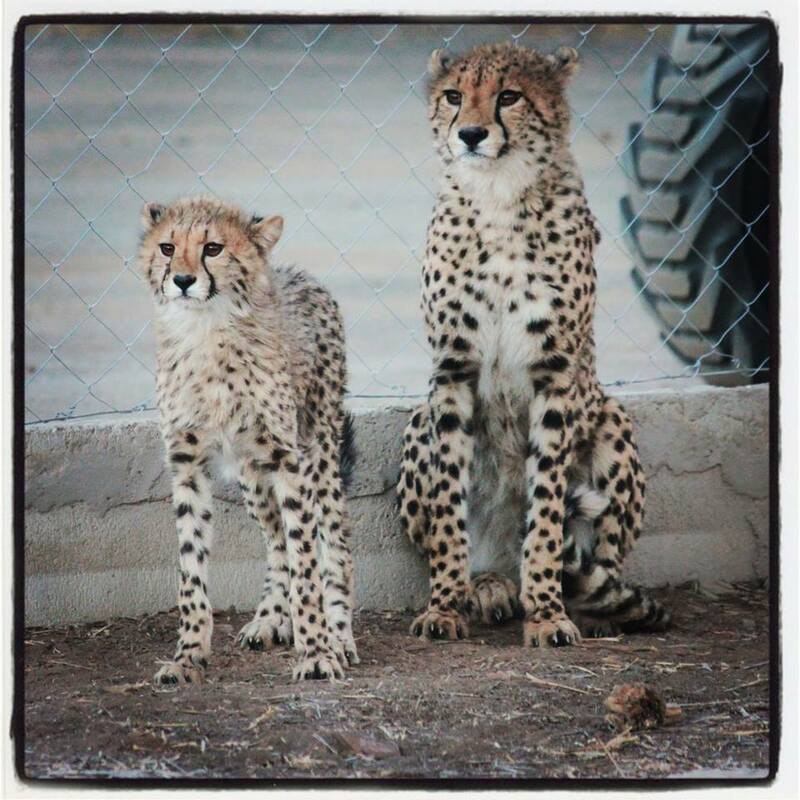 Female Speedy is 6 months old and mother-raised, male Spiky is 8 months old and also mother-raised. Speedy was a bit used to humans but Spiky wasn’t as he grew up with his parents on a huge piece of land with little human presence. It was funny to see that it was Spiky who adapted easier to the “new People” and surroundings than his little girlfriend. Both fortunately do like each other so for the time being they can keep each other company. 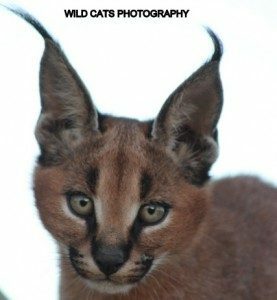 In our project we truly want to contribute to conservation, so our aim is to get as much land as possible for our cheetahs to in the end give them a sort of “wild life”, free and safely ranging and hunting, even though in a fenced area. Of course we have to start with a few hectare camps and from that point on keep expanding. 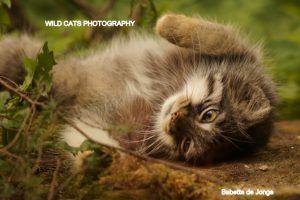 If our couple(s) do get cubs in the future, they can and will stay with the mother for as long as possible and after that we have to start a selection and also exchange for new blood. As the new camp for Spiky and Speedy is still in progress, they are currently living in the brand new leopard enclosure, meant for Felicia and Floris the ambassador leopards. More news and photos will follow. Thanks to Chriszanne Burger for these great pics. 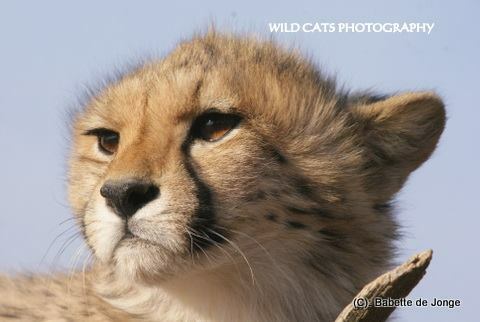 January 2014 – Speedy & Spiky are the Wild Cats World cheetah ambassadors, which arrived at the Spotted Cats Conservation project in January 2014. 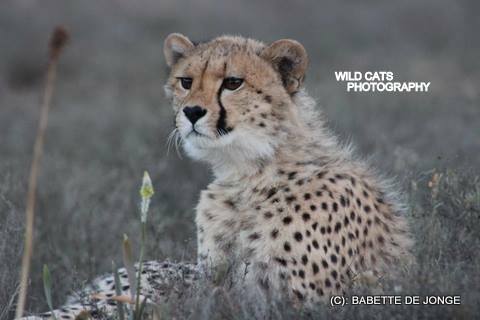 Both cheetahs are mother-raised and (semi) wild, which make them the perfect ambassadors, as they show themselves beautifully but also they show the right spirit of the cheetah, which of course should be wild and free. Speedy is a real beauty with her serious look. She is also a real cheetah built for speed! Speedy spotted something on the far horizon. Now what are you doing here? With both cheetahs we have huge plans. For now they are situated in a temporary camp opposite our leopard ambassadors and even though not close neighbours they love watching each other. 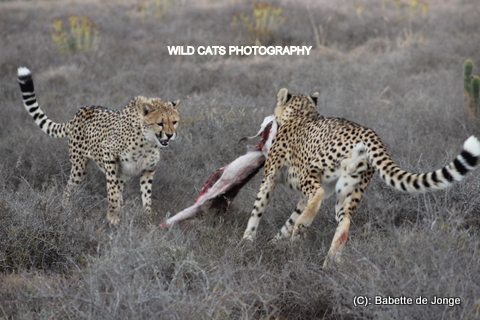 It is wonderful to see that both cheetahs react so well to their new home and all that is happening around them. 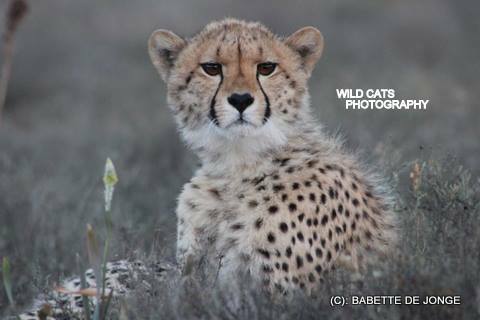 For cheetahs in captivity it is not necessary to be “tamed” but it is always better to keep them stress free (or socialized) as with all other species. A brand new, huge camp is constructed for them now, which is further away from humans and all excitement. For now enjoy the photos of the two amazingly beautiful cheetahs. Speedy (female) is around 1 years old and Spiky approx 1.5 years old and they are unrelated. When they are a bit older they will be separated so they won’t start seeing each other as brother-sister, but to keep the excitement going. 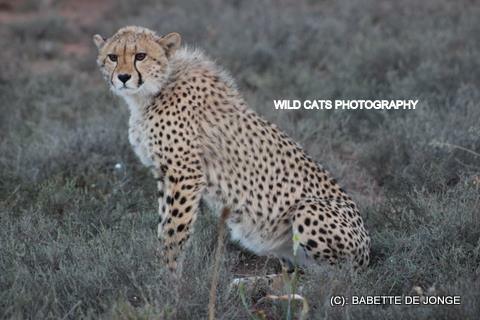 Hope for the cheetah future!! !